When working in the kitchen, we usually put on an apron to protect our clothing. The last thing we want is to get a big grease spot on a nice shirt or blouse. It wouldn’t exactly help our fashion image to wear stained duds to church or a dinner engagement. Sometimes we get in a hurry and forgo this simple piece of protective wear, and those tend to be the very occasions when something spatters on us. So we’ve learned from past mishaps that putting on an apron is a lot easier than removing a stain — and takes less time, too! 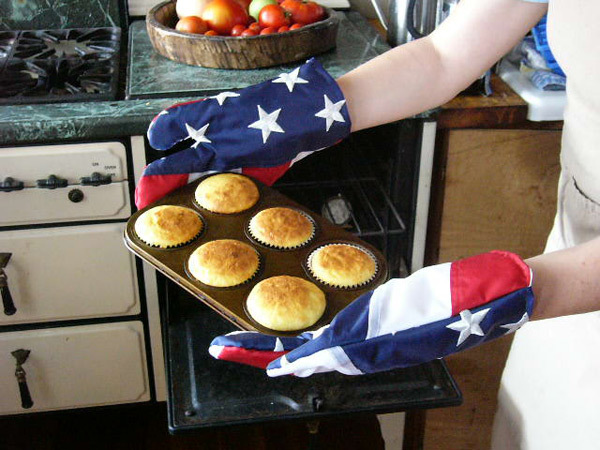 There are other things we frquently wear in the kitchen, such as oven mitts. We wouldn’t dare reach into a 450 degree oven without this thermal protection on our hands. Well, actually, we probably did at some point reach in with our sensitive bare pinkies — but only once! As in life, some things are too hot to handle on your own. 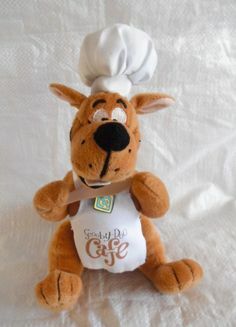 So we also use pot holders to remove lids, because when a pot gets hot and pressure builds inside, it tends to let off steam — like a few of our friends. No, we don’t want any steam burns. When washing dishes, we put on Playtex gloves. Being exposed to abrasive soap pads, for extended sessions of scrubbing, can be rough on the hands. And we don’t want to become calloused. What does it mean to “put on Christ”? It means adopting His attitudes about life and people. Jesus is loving and patient with us, and He wants us to act the same way toward others. Putting on Christ is the opposite of having a negative, resentful, grumpy, downright nasty attitude. Wear the latter out in public, and waitresses and dogs will avoid you like the plague. Putting on Christ — putting on an attitude of love — will protect your disposition; which in turn, will protect your relationships, your job, your interactions at the market, as well as your reputation and your witness for Christ. Hence, your good character won’t get stained. We particularly like Romans 13:14 in the New Living Translation: “Instead, clothe yourself in the the presence of the Lord Jesus Christ.” Being in the “presence” of Christ means you’ll also be adorned with His strength and clothed in His grace — so you’ll be dressed to handle hot situations and deal with coarse people. Oh, and you’ll be stain-resistant, as well. So when in the kitchen, put on your apron and oven mitts. In life, put on Christ. Wear a smile and adopt His attitude of Godly Love toward people. What does Godly Love look like? Read 1 Corinthians 13.